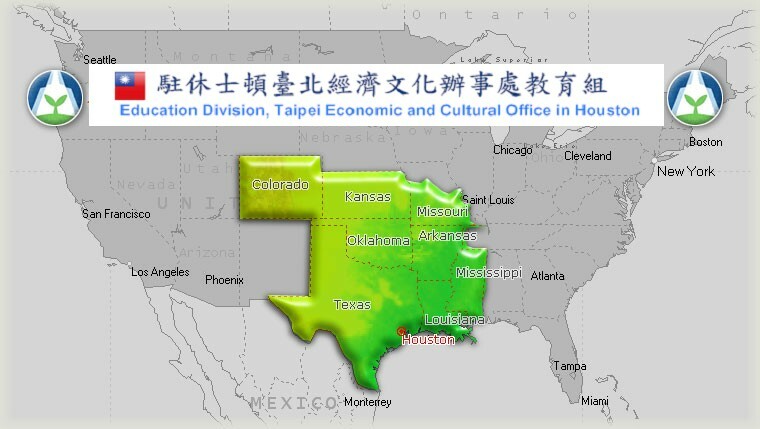 The Education Division of Taipei Economic and Cultural Office in Houston, representing Taiwan Ministry of Education, aims to promote educational relationships between Taiwan and eight southern states, Arkansas, Colorado, Kansas, Louisiana, Mississippi, Missouri, Oklahoma and Texas in the US. Our staff is committed to providing the best possible assistance of scholars, students, educators, and government officials in the region. 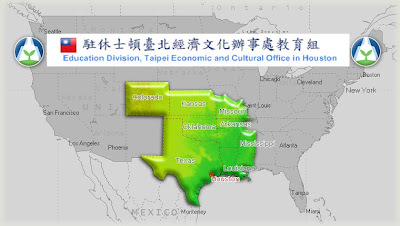 To enhance the education cooperation between Taiwan and USA. To build the connection between Taiwan and overseas Taiwanese students and scholars. To encourage foreign students to study in Taiwan. 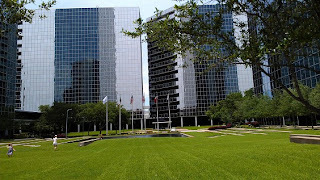 To promote teaching and learning Chinese as a foreign language. To recruit American certified teachers to teach English in Taiwan.